Our local locksmiths in Lakeway TX do much more than repair locks, make keys, and help people locked out of their cars or homes. At South Austin Locksmith, our professional licensed, bonded, and experienced technicians perform a wide variety of duties and provide fast, friendly mobile locksmith service anytime day or night. And we have a mobile team right here in Lakeway! From installing security systems to replacing car fobs and installing garage doors, we take pride in making your life easier and safer any way we can. With years of experience, upfront pricing, and professional round-the-clock assistance just a phone call away, we’re happy to be your go-to local locksmith for all of your residential, commercial, and automotive needs! Have you lost your car keys? Everyone loses their keys. In fact, they’re one of the most lost items we own. If you’ve lost your keys and find yourself locked out of your car, home, or office, you can count on us to be there as fast as possible and get you safe, sound, and right on schedule. 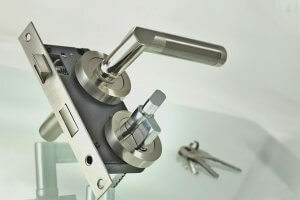 We also offer lock changes and repair services in times of crisis after a burglary. In fact, we deliver prompt professional service for any emergency situation. Broken key removal and more! Being locked out of your car in Lakeway or anywhere else is never fun, but if you’re in inclement weather or in a bad part of town late at night, it can be extremely unsafe as well. Even in today’s world of smart key cars, millions of drivers find themselves locked out of their cars and trucks each year. If you find yourself in such a situation, have no fear! Whether it’s pouring rain late at night or reaching 100 degrees on a hot summer day, we’ll be there in no time at all to get you back in your vehicle and driving safely towards your destination. Simply put, if you’re in need of a mobile locksmith, you won’t find anyone in Lakeway, Austin, or the entire Hill Country as skilled as us. Our mobile units are outfitted with the latest tools and equipment needed to handle all of our car key replacement services and anything else you may need on the spot! And our experienced technicians are trained to handle all makes and models of vehicles, both foreign and domestic. At South Austin Locksmith, we’re business owners just like you, so we recognize the importance of security and are fully committed to helping you make your business as secure as possible. As Lakeway’s leading commercial locksmith experts, we provide assistance with master key lock systems, access control systems, magnetic door locks, door closers, keyless entry locks, panic bars, CCTV, electric strikes, and more. Whether you’ve had an emergency office lockout or break-in or need CCTV cameras professionally installed to improve the safety of your property and employees, our skilled technicians will not only get the job done, they’ll get it done right. There’s nothing like resting easy at night knowing your business or commercial property is safe and secure. We can install and repair the latest commercial lock systems for commercial properties of all sizes to keep your business running smoothly. And we work with the top brands in the business such as Rosslare, Honeywell, Baldwin, Bosch Security Systems, ADT, Stanton Concepts, and so much more! A residence is supposed to offer shelter and safety. Therefore, if the safety of your residence is compromised, you need a residential locksmith you can trust with the safety of your loved ones and all you hold dear. Whether your home has been burglarized or your key accidentally broke off in the lock as you rushed out the door, our professional Lakeway locksmiths will be there in less than 30 minutes to perform any lock replacement or repair. Interested in buffing up your home security with new keyless entry locks? You’re in luck because our highly skilled technicians expertly install high-tech smart lock systems as well. That’s right; we’re here for all of your home security needs! Have a broken lock or replacing your home’s exterior doors? We provide a full range of residential and commercial lock repair and replacement services. We can also perform quick lock changes and rekeys for you anytime you need. 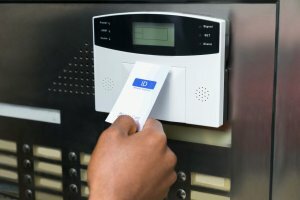 As a 24-hour locksmith with a great reputation for providing the highest-quality lock services in all of Lakeway and South Austin, our highly trained and fully licensed, bonded, and insured locksmiths will provide you with excellent lock service any time of the day or night. Garage Door Blues? Let Us Help! If you’re searching for top-quality garage door installation or repair in Lakeway, TX and the surrounding areas, South Austin Locksmith is the solution. Utilizing nothing but the best equipment and expertise, we deliver professional garage door services and uncompromising results. Whether you need a simple repair on a standard two-car garage or new doors installed to house a fleet of cars, we’ll ensure they’re properly installed and ready for years of effortless use. While our locksmith services are the most affordable in town, there are a few tips you can try before calling us out to your home, business, or car that may save you both time and money. Believe it or not, many times we arrive at a location and unlock a door or replace the key, only to have the owners find the key in their pocket, purse, or another “obvious” location later on. It’s a common mistake and that is why we always recommend checking all possible locations for your keys before calling us. If a lock is frozen due to cold weather, a hair dryer or another heat source will quickly thaw it out and make it serviceable once again. If it’s jammed, sometimes a silicone spray will work. Be sure to always take safety precautions and if you are not sure, just give us a call. High-tech locks and safety enhancements can make your home safer and your life easier. In fact, these days you don’t even need a key to open your door. With a smart lock system, you can do it right from your phone. This can be a big help if you’re constantly losing your keys. If none of these tips help, it’s time to call in the pros at South Austin Locksmith. Our local team is available 24/7 in the Lakeway area, so give us a call and we’ll be there in minutes with tools in hand! You can also quickly request our locksmith services in Lakeway online for your convenience. Lakeway https://south-austin-locksmith.com/lakeway/ 4.3/5 based upon 10 reviews.